New study raises further safety concerns over GM Bt crops. GM Bt crops are engineered to express Bt toxins, insecticides that are intended to kill pests that feed on the crops. The GMO industry claims that its Bt toxins are safe for human and animal consumers – and all living organisms outside the narrow range of targeted pests. But a new study (abstract below) casts these claims into doubt and raises new questions about the safety of GM Bt toxin. 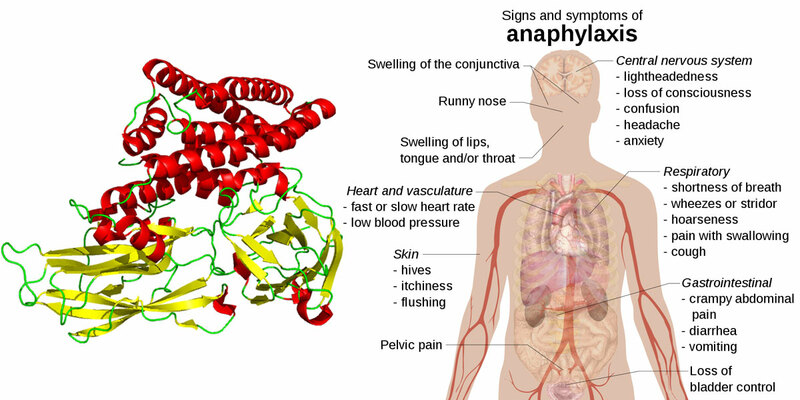 The study performed in mice found that the GM Bt toxin Cry1Ac is immunogenic, allergenic, and able to induce anaphylaxis (a severe allergic response that can result in suffocation). The responses that Cry1Ac was found to produce in the mice included “mildly allergic manifestations” around the mouth, nose and ears, as well as wheezing, hair standing on end, and diarrhea. The study also found that Cry1Ac provoked intestinal lymphoid hyperplasia, a condition marked by an increase in the number of cells contained in lymph nodes. The condition is associated with food allergy, inflammatory bowel disease, and colon cancer. The Bt toxin tested in the mouse study was a GM form isolated from E. coli bacteria. This is not the same form of the protein that is expressed in GM Bt crops. The difference lies in the fact that the Bt toxin engineered into GM Bt crops acquires alterations known as post-translational modifications (e.g. the addition of sugar-type molecular structures to the amino acid chain backbone of the protein – a modification known as “glycosylation”). These modifications are absent in the bacterially expressed Bt toxins because bacteria are unable to produce them. Post-translational modifications are of interest because they can contribute to making a protein (Bt toxin in this case) immunogenic and allergenic and thus turn a previously safe food crop into one that can cause immunogenic or allergenic reactions in the consumer. All this means that the Bt toxins expressed in GM Bt crops are even more likely to be immunogenic and/or allergenic than the bacterially expressed Bt toxins tested in this experiment. Also, the GM Bt toxins that are tested and assessed for safety in regulatory authorisations are bacterially expressed and thus these tests are likely to underestimate the potential of a complete GM Bt crop plant to cause immune or allergic responses. In addition to these inadequate tests, the EU currently insists on a 90-day animal feeding study with single-trait GMOs, which does test the GM plant for shorter-term effects. But pro-GMO scientists and lobbyists are attempting to persuade the EU to do away with this requirement altogether, meaning that GM Bt crops would be put onto the market with no testing in a living organism. The GM Bt toxins tested in this experiment, as well as the GM Bt toxins expressed in GM Bt plants, are different from the natural Bt toxin spray used for decades by organic and conventional farmers, as explained in a recent analysis. In the words of the GM Bt crop developer Monsanto, the GM Bt toxins in GM crops were especially engineered to be “super toxins” because they have “broad spectrum activity”. In contrast, natural Bt toxin affects only certain types of insect pests and degrades rapidly in daylight, so non-target organisms and human consumers are unlikely to be exposed. Santos-Vigil, K. I., Ilhuicatzi-Alvarado, D., García-Hernández, A. L., Herrera-García, J. S., & Moreno-Fierros, L. (2018). International immunopharmacology, 61, 185-196. • Mildly allergic reactions elicited by the intra-gastric administration of Cry1Ac. • Cry1Ac induced increase of IgE response and proportion of B220+ IgE+ lymphocytes. • Cry1Ac induced increment of eosinophils and granulocytes in the intestine. • Lymphoid intestinal hyperplasia provoked by intra-gastric Cry1Ac. • Cry1Ac toxin induced anaphylaxis after intravenous challenge. Cry1Ac toxin, from Bacillus thuringiensis, is widely used as a biopesticide and expressed in genetically modified (GM) plants used for human and animal consumption. Since Cry1Ac is also immunogenic and able to activate macrophages, it is crucial to thoroughly evaluate the immunological effects elicited after intra-gastric administration. The allergenic potential of purified Cry1Ac was assessed and compared with that induced in a murine model of food-allergy to ovalbumin (OVA), in which animals are sensitized with the adjuvant Cholera toxin (CT). Mice were weekly intragastrically administered with: i) vehicle phosphate-buffered saline (PBS), ii) OVA, iii) OVA plus CT iv) Cry1Ac or v) OVA plus Cry1Ac. Seven weeks after, mice were intragastrically challenged and allergic reactions along with diverse allergy related immunological parameters were evaluated at systemic and intestinal level. The groups immunized with, Cry1Ac, OVA/Cry1Ac or OVA/CT developed moderate allergic reactions, induced significant IgE response and increased frequencies of intestinal granulocytes, IgE+ eosinophils and IgE+ lymphocytes. These same groups also showed colonic lymphoid hyperplasia, notably in humans, this has been associated with food allergy and intestinal inflammation. Although the adjuvant and allergenic potential of CT were higher than the effects of Cry1Ac, the results show that applied intra-gastrically at 50 μg doses, Cry1Ac is immunogenic, moderately allergenic and able to provoke intestinal lymphoid hyperplasia. Moreover, Cry1Ac is also able to induce anaphylaxis, since when mice were intragastrically sensitized with increasing doses of Cry1Ac, with every dose tested, a significant drop in rectal temperature was recorded after intravenous challenge. Man needs to take responsibility for his/her own health and overall well being. Sharing information helps build momentum toward remedy. Please share. Thank you. This entry was posted in Auto-immune, Awakening humans, Energy, frequency, vibration, GMO food and clothes, Public Notice, Science and technology, Silence is agreement and tagged Cancer, Every choice. Bookmark the permalink.